IoT and business analytics have the potential to redefine businesses – and already do so at some forward-thinking shops. 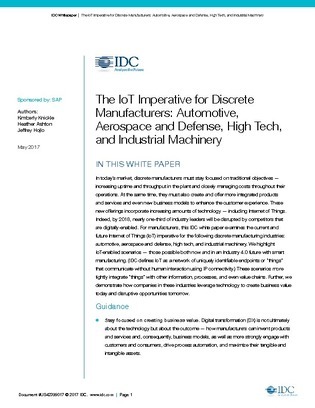 This IDC research paper examines the impact of IoT and other new technologies such as machine learning on the manufacturing industry. IDC estimates that 75% of large manufacturers will use IoT and analytics in operations by 2019.